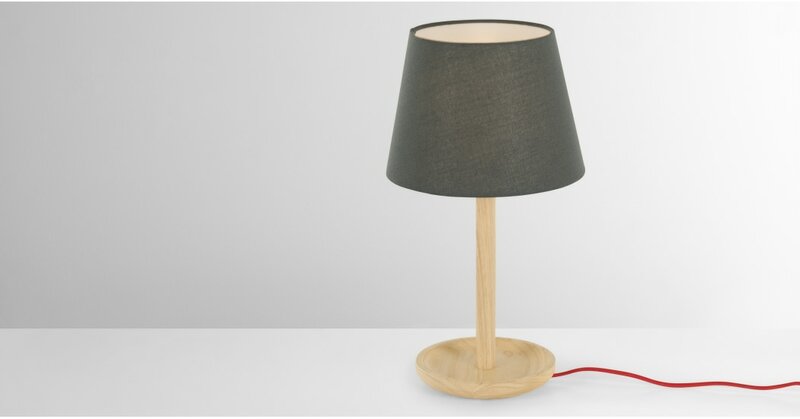 The simple natural stained ash base of the Moore table light stands out against a grey shade. It has a petite footprint, making it good for smaller surfaces. Wood and grey – a classic feature of Nordic design. Add this to your simply styled room for a look that's contemporary and cool. Moore's an affordable addition that'll add style as well as function. The perfectly proportioned shade allows light to disperse evenly, making for a cosy glow.